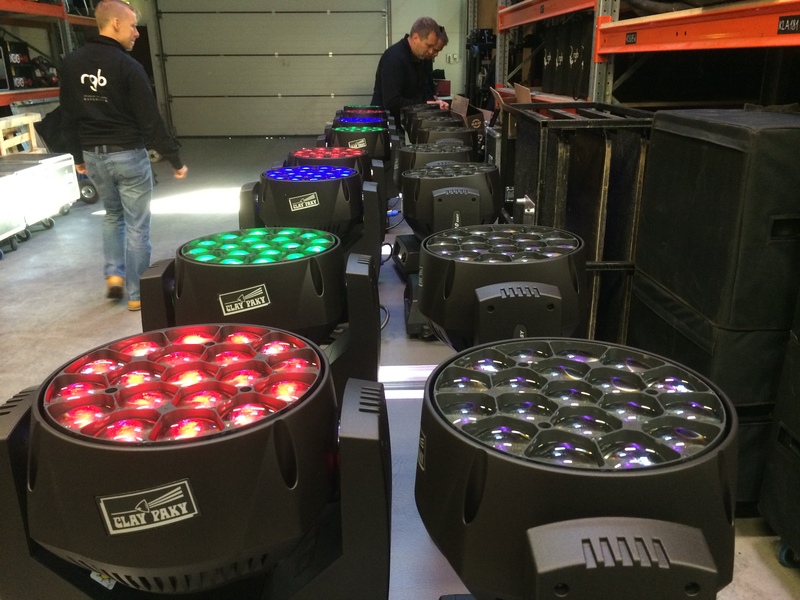 RGB Clay Paky valgusinventar täienes! 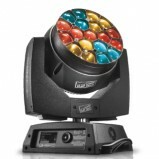 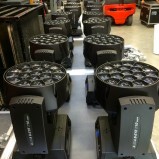 Uuena rendis 16x Clay Paky A.leda B-EYE K10 Easy movin-headid. 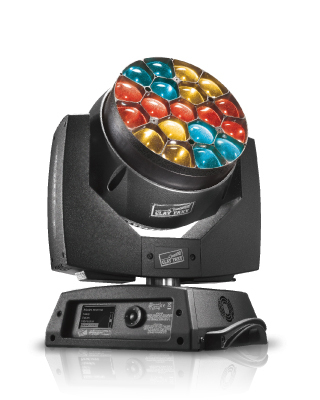 It is an excellent quality wash light, able to wash surfaces with colors at any distance, making the most of its light source. 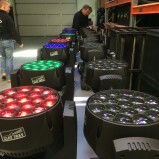 It is at least 20% brighter than any LED-wash with the same rated power, thanks to its special optical unit with a truly amazing lumen/watt ratio, designed and built by Clay Paky. 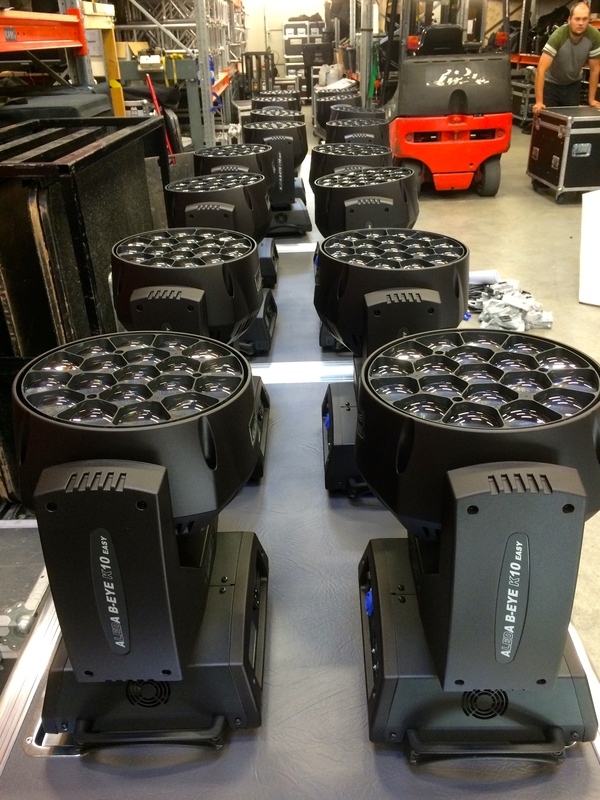 The zoom ranges from 4° to 60° and it is therefore suitable both for environments with low ceilings (small theatres and TV studios, for example), where large angles are extremely useful, and for shows in arenas or large environments, where a tight zoom is perfect.